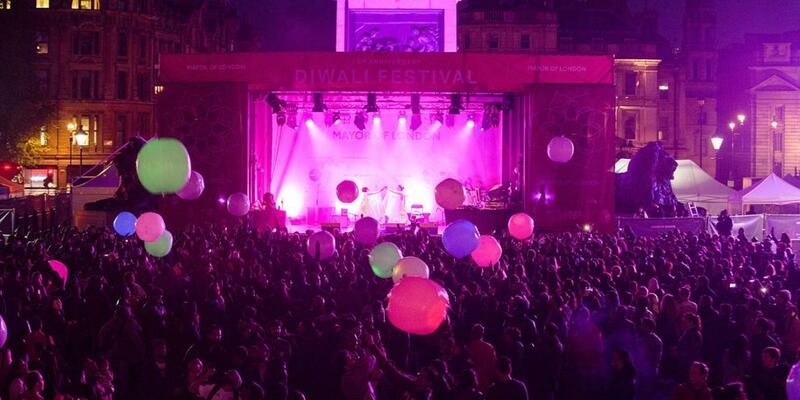 We’re delighted to announce that the Silk River Scrolls have been invited to open the Diwali celebration in Trafalgar Square. More information is below. Date: Sun 15th Oct 1.00 -7.00 p.m, starting with a procession of the scrolls at 1.00 p.m. Celebrating its 16th anniversary, the Diwali Festival, which celebrates the Hindu, Sikh and Jain festival of lights, attracts over 35,000 with its lively music and dance stage line up alongside an authentic street food market, craft and community stalls plus dance, yoga, henna art and much more. 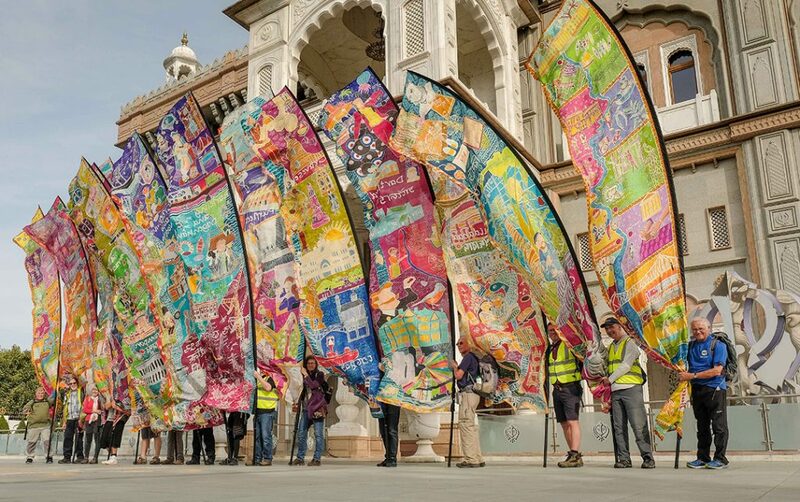 The Silk River banners have been invited to lead the opening procession and should be a spectacular sight in Trafalgar Square. Find out more about the Diwali Celebration HERE.